Finding the best soundbar for your budget can be a tough task. That is why we have reviewed numerous soundbars to find the 5 best soundbar under 200 US Dollars contestants. Indeed, soundbars have revolutionized sound in living rooms and theaters. And their prices have continuously been adjusting to become pocket-friendly for all. So, what is a soundbar? From 1928 when General Electric gave us what became the modern TV to the vast LED, QLED, and the latest Micro LED screens, TV has evolved at breathtaking speed. Unfortunately, the same cannot be said of the sound…which is why the World was excited by the release of the first home theater/soundbar in 1998. The $200 (and even $100) soundbars are here and against all odds, they offer a pretty decent performance while remaining soft on the pocket. As you will see from this post, they have quality bass, ample connectivity options, crystal-clear voice, remote control, and more. In this post, I will be laying bare all you need to know about the best soundbar under 200 Dollars. But first, here is our in-depth review of our top 5 picks. To completely dominate any field, you need to outclass the competing pack. Has Yamaha outclassed its competition? Almost! Almost, because most of the others can only dream (seriously!) of conjuring up the level of sound quality this single-piece soundbar has. Yamaha has gotten the dynamics of audio spot on. The YAS-107BL features a unique Clear Voice mode which brings narration and dialogue to the forefront to make voices very intelligible. The built-in subwoofer delivers the ultimate bass – you enjoy deep, hulky, and rich bass making your listening experience very fulfilling. If you like saving music in your mobile devices, its Bluetooth connection will let you to wirelessly stream your playlists. Moreover, when bored by your saved hits, you can connect it seamlessly to Amazon Echo/Echo Dot to savor a fresh collection of millions of hit songs. Also, there are a number of setup options – HDMI, analog, and optical ports are all available. It’s also compatible with all the latest TV technologies – 4K Ultra HD (60P), HDR pass-through, and also HDCP 2.2. So, you’ll be able to enjoy the quality of any latest TV. The narrations are clear and the bass enriching. Plus you can listen from all sources – 4k ultra HD included. With this soundbar, there will never be a dull moment! Click here to find out its latest price. Measuring just 3 x 38.2 x 3 inches, the VIZIO SB3821-D6 clearly distinguishes itself on the technological front. It offers not only highest-caliber audios but also a wealth of connectivity options. A premium sound system, it fills your room with roaring sound. It can reach an amazing 100 dB at an exceptional clarity and with minimal distortion. When playing music, you can create a dancehall-like effect with bass coming from the wireless subwoofer reaching levels of 50 Hz…a rare achievement at this level. The integrated Dolby dynamic audio sound plays your TV shows, music, and movies with class and intensity while the DTS audio technologies deliver richer narrations and dialogue. To keep up with your ambition, it comes built-in with Google Cast, which works similarly to Chromecast. Google Cast allows you to cast (‘stream’) the best content from your iPod/smartphone to your TV in addition to giving you access to millions of podcasts and songs. If you find using a remote control monotonous, you can use the VIZIO smartcast App to discover, cast, and manage the music from your mobile phone. 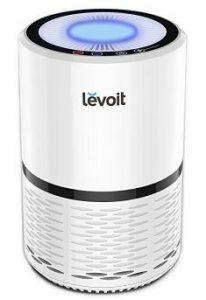 Clearly, this remarkably talented model’s impressive array of special features enables it to create cinematic surround sound effect right at home! In many ways, the VIZIO SB3821-D6 smartcast 38-inch 2.1 soundbar is solid and gives exemplary audio quality. As a tech-savvy speaker, it easily outstrips the competition. Sony has summoned its wide experience in audio equipment to deliver an even sleeker soundbar despite the friendly pricing. Rumbling at 300W and yielding a professional grade Front Surround sound, the HT-CT290 offers a lot more compared to most competitors in the best soundbar under 200 category. And it doesn’t sacrifice any of the elaborate qualities expected from Sony electronics. Some amazing features include a commanding wireless subwoofer, a handy USB Music playback, the all-important Bluetooth, and even a beneficial foot pad. It also comes with a wall installation plate. Also, it can share its HDMI remote with the TV. This means that you don’t have to carry many remote controls. But the two innovations that what won us over were the Voice Mode and Night Mode. The Voice Mode cleans noise from movie characters while the Night Mode reduces volumes to soothing levels to help you catch a good night’s sleep. The Sony CT290 Ultra-slim 300W soundbar isn’t just your ordinary soundbar. Its 300w output and 2.1channel S-Force surround sound push it towards the top of the pile in this category. Recommended for 42-inch TVs (and above), this looks so stylish and has very powerful speakers! At its modest price, the deep thumping bass it produces is definitely a huge bonus. All this is thanks to its wireless subwoofer – hailed as one of the best by my editor due to its room-filling audio and captivating clarity. Further, the much-loved Dolby Digital Surround (DTS TruSurround) sound provides spatial dimensions to soundtracks and better audios. This ensures that you get a pleasant listening experience for news broadcasts, Blu-ray, DVD, YouTube, and Netflix content. Interestingly, you set the volume just once then let the DTS TruVolume do the rest. It will sustain a comfortable volume level consistently creating a smashing multimedia experience along the way. The dream combination of the thunderous speakers, DTS TruSurround, and the husky woofer delivers a booming sound, eventually creating a home theater experience from the comfort of your home. You will enjoy the convenience of the built-in Bluetooth that allows you to stream music from your smartphone, tablet or PC. Then, this soundbar is easy to mount and navigate, thanks to the included wall-mounting plates and a responsive remote control. Lastly, the wireless connections ensure that your room remains free of clutter. The VIZIO SB2821-D6 28-Inch 2.1 Channel Sound Bar is a very good soundbar for those who are looking for a simple, reliable performer. At this price range, the bass and virtual surround sound make for an unforgettable audio experience. When you first see this soundbar, it’s easy to see why it’s always in the company of the very best! You see, this is an imposing collection of each and every potent feature. It has so much and does so much! Even without going very far, it’s the first soundbar in our collection to have a complete Dolby 5.1 3D channel surround sound – one of the best surround systems around. Enthusiasts love the 5.1 because it brings together five powerful subwoofer speakers resulting in a full-blown stereo sound. Then, its enclosure is built in a way that it ends up producing an impressive bass response – you will notice a clear upgrade in quality when watching movies and listening to music with this. Moving on, it uses a higher-grade Bluetooth (3.1) and unlike older models. Amazingly, it streams music wirelessly up to a distance of 100 ft. Pushing it further ahead of the competition is the sound amplifier. It allows you to blast music and narrations with might across the rooms. Also, this soundbar can connect to a host of external devices such as USB flash drives, memory card readers, and even an FM radio – giving you access to your curated playlists in all your devices. Because it is compatible with lots of devices (TV, Home Theater, and even other speakers), the Pyle Sound Bar PSBV200BT has one of the most memorable theater-effect. The front panel display keeps you updated on its current settings for a smoother operation. 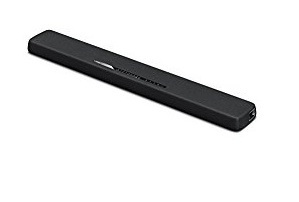 This Pyle soundbar has a 3.1 Bluetooth, a sound amplifier; compatibility with a huge collection of personal devices, 3D -Dolby 5.1 channel …the list is endless. Simply, this is no doubt a top, top soundbase in this category. A soundbar, or a media bar is a loudspeaker designed to project sound from a long, thin compartment. They produce clear, absorbing audio with an eminent bass response. Modern-day soundbars are mounted either above or below your TV. They are versatile enough to be used to boost the sound quality. Also, you can stream your favorite music from your smartphone or any other portable device via Bluetooth. When put together, they deliver an out of the world surround sound in addition to expanding the acoustic range. Sales of soundbars have grown by leaps and bounds in the last few years. They have built their name around a few strong merits like their compact size that makes them easily fit beneath your TV, easy peasy set up, rich sound, and latest connectivity technologies. If you must pinpoint a weakness, it could no doubt be that their surround sound isn’t as good as that of separate speaker stereo systems. Soundbars and soundbases are both meant to amplify your TV’s audio quality. However, while the soundbar is comfortable camouflaging under your screen or hanging from a nearby wall, the soundbase is thicker and supposed to be a stand for your television. Because they are larger, soundbases have a better bass. Often, a soundbar will need a separate subwoofer to even come near the bass levels associated with a soundbase. Surround sound delivers a thrilling entertainment experience at home/cinemas by providing an optimal environment for your favorite content. The technique relies on additional audio channels typically from speakers placed to surround listeners (popularly known as surround channels). The leading surround sound standards include Dolby Digital, Dolby Pro Logic, and the latest Dolby Atmos. Bluetooth Bluetooth enables you to stream music from smartphones, laptops, tablets, or desktops. Smartphone Remote This typically is in form of a downloadable app and transforms your Smartphone (iPhone/Android) into a functional soundbar/base remote control. Subwoofer Output (line-level) This can be RCA plug or 3.5mm (mini jack plugs). Audio Inputs (Analog In/Aux In) On soundbars/bases, analog input goes in through the RCA (phono plugs) or 3.5mm (mini jack plugs). WiFi/Ethernet A WiFi port enables you to connect your device to an existing WiFi or home network. This way, you can take it with you to any corner of your home and still be able to stream music. USB Ports As expected, USB is for connecting plug ‘n’ play devices. Coaxial Inputs/Outputs & Optical Inputs / Outputs These connect to DVD/Blu-Ray players. HDMI Ports An HDMI port is a high-resolution connection to your TV. You may find a number of HDMI inputs and even an extra HDMI output. Wi-Fi and Bluetooth are the two leading streaming standards. However, they are now facing ferocious competition from newer “open” standards including Google’s Chromecast and some proprietary manufacturer standards. If you want a smooth surround sound, go for a sound bar backed up with a subwoofer and wireless rear speakers—if possible. However, a 2.1 channel soundbar will be enough if you are just looking for an upgrade to your TV’s inbuilt speakers. This is not a must-have, but I find a soundbar with a front status display better because it keeps me updated on some essential details like the volume level. If it’s too tall, your sound bar will block your TV’s remote-control beam making it hard to control. Check the warranty period before buying. It protects you in case of malfunction. Not all soundbars have surround sound. However, an increasing number of bars allow you to connect surround speakers. You typically use Wi-Fi to hook up to the standalone wireless speakers. Evaluate whether your choice has this option. If there’s one area manufacturers need to up their game, it’s in the remote. Most of the remote controls that come with sound bars are lousy at best. Admittedly, some are a bit improved but you may need to test it before buying. Perhaps you can forgive a number of failings but not a missing Bluetooth capability. Lack of a Bluetooth would seriously hamper its ability to stream from a variety of devices. True, you can use a Bluetooth adapter to add this ability but it’s an avoidable cost. Unlike in the past, manufacturers are now paying attention to the budget market with the introduction of a variety of fantastic soundbars including very good under-200 soundbars. It actually seems as if they are having a mini-race to see who can make the very best soundbar under 200. And just like other soundbars, features such as connectivity, surround sound, remote control, and even the warranty period matter. Well, we have looked at some of the current hot contenders and as you have seen, they all mean serious business. If you feel like 200 bucks is too much, check out these soundbars under $100. If you have any comment, feedback or question, feel free to get in touch by posting in the comments section below.